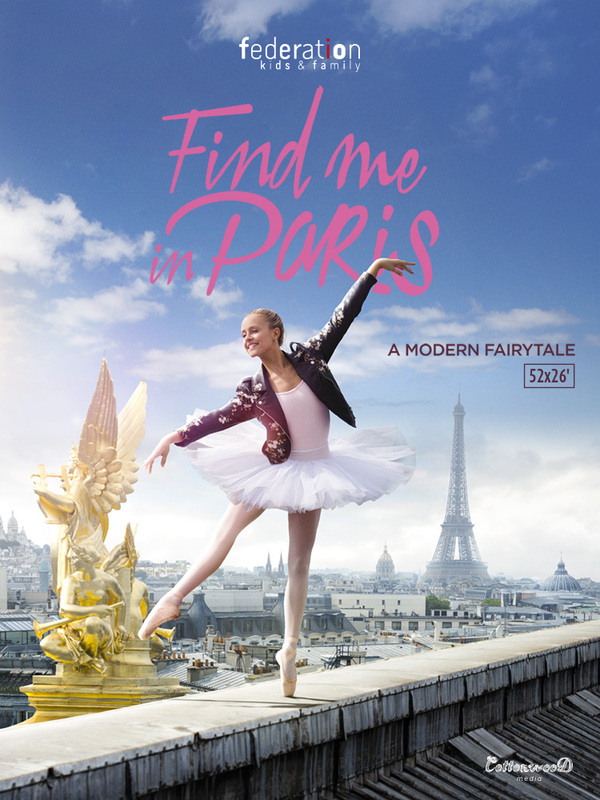 FIND ME IN PARIS is a premium tween drama centering on Lena Grisky, a typical teenage girl attending the Paris Opera Ballet School, the most elite dance institution in the world. But Lena has a secret. She’s a time traveler, accidentally propelled from 1905 into the 21st century by her boyfriend Henri. Stuck in the past, Henri does everything he can to find a way to bring her home. Meanwhile, Lena tries to fit in, juggling high school and rigorous ballet training. She even becomes a member of an elite underground dance crew, the BLOK, all while trying to keep her secret. With a unique mix of ballet, contemporary dance, comedy and drama, FIND ME IN PARIS is a high-end dramedy shot on location in some of the most iconic sites in Paris with a stellar international cast.